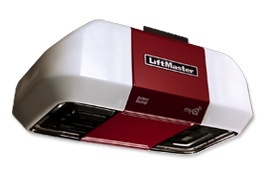 We’re proud to offer Liftmaster and Genie Garage Door Openers, so that we can provide a wide variety of opener options depending on your needs. 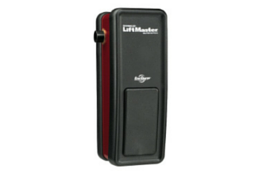 When Choosing a Garage Door Opener, it's important to know that there are 4 different types! Select from the tabs below to learn more. If you aren’t sure which type of opener is right for you contact us! Belt-drive openers are similar in design to chain-driven models, except a reinforced belt is what pushes or pulls the trolley. The belts may be made of fiberglass, polyurethane, or steel-reinforced rubber. Pros: Belt-driven openers are just as reliable as chain-driven openers but quieter. Cons: The negative for belt-driven openers is that they cost about $30 to $60 more than chain-driven units. Chain-drive openers include a chain—similar to a bicycle chain—that pushes or pulls a trolley (carriage) that connects to a metal bar, called a J-arm, that is affixed to the garage door. Be Aware: If your garage is situated under a bedroom, the noise generated by metal-to-metal contact and vibration may be a nuisance. If the garage is detached, it probably isn’t. Newer chain-driven units with DC motors and soft start-and-stop technology are significantly quieter than older units. Jackshaft openers, unlike the other systems, mount on the wall beside the garage door. 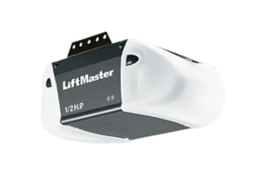 A 24-v DC motor drives pulleys and cables that turn the torsion bar and raise the garage door. When the motor is reversed, cable tension is loosened and the door lowers. Pros: This system is reliable and quiet. 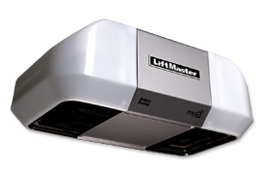 In addition, it keeps the ceiling free for overhead storage and is well-suited to garages with high or low ceilings. Cons: Jackshaft openers are more expensive than most other types of openers. With screw-drive openers, the trolley rides on a threaded-steel rod as a motor rotates the rod. Pros: Screw-drive openers are among speediest openers these days, opening a door at 10- to 12-in. per second compared to the standard 6- to 8-in. per second. Because this design has fewer moving parts, manufacturers claim that it requires less maintenance than other systems. Cons: Screw-drive openers have run into trouble in regions that have large swings in temperature from summer to winter. In addition, they are noisier than belt-driven openers. We can help you track down and find a replacement remote.